Last year I met a young military wife through our blogs. Her name is Victoria and the love of her life, her husband Ryan, is a Marine who was recently deployed. My heart goes out to all of our men and women in the service and the families who wait for them with back home. Victoria has entered a picture in The Great Humanitarian Foundation's "Life Through Deployment Contest." The picture shows her lovely, but obviously sad face as she says good-bye. This is his first deployment during their marriage. You can see it all in the picture! Please help her win this by voting for her picture. Here is the link for her blog. Go to the pink letters that say "Our Photo" and click there. When you get to the picture you will see stars under it. You must click on the stars to register your vote. Let's give these love birds five stars and as many votes as we can. but I think it will mean a lot. Following from the Friday Hop! I voted! Love to have you stop by and say howdy sometime! I also came across a couple of young women that just saw their husband off for deployment. They break my heart. We lost a close friend of the family in this war. I am your newest follower on GFC. 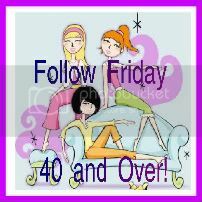 I am also following you via FFF blog hop. Please follow me.